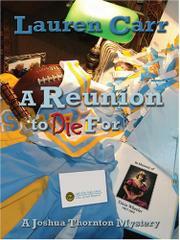 A county prosecutor’s memories of his days as a high-school football star could help solve several murders. Following the death of his wife, Joshua Thornton retreated with his family to his quiet home town of Chester, W.Va. Now his peace is shattered by well-known investigative journalist Gail Reynolds’s plan to write a book about Tricia Wheeler, a popular cheerleading classmate of Gail and Josh who was alleged to have committed suicide. No sooner does Gail arrive than another cheerleader dies in an eerily similar manner. Despite her fame, Gail still has a big crush on Josh. So do two other old classmates, local journalist Jan Martin and newly arrived public defender Tori Brody. When Gail is killed, Josh takes another look at Tricia’s death, sees an obviously covered-up murder and reopens the case. A class reunion brings back old memories and flushes out new suspects including a few jocks, some local bad girls and even Josh himself, whose trip back into the past reveals many things he never even suspected and throws light on his present-day relationships. It will take still more fatalities and some help from Josh’s doctor cousin before this complicated case of murder past and present can be solved. Josh is a sympathetic fellow, but Carr’s overlong sophomore effort (A Small Case of Murder, not reviewed) doesn’t do him justice.